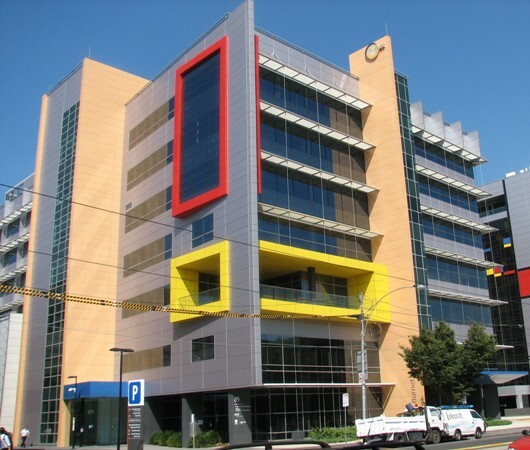 The ARA (Alfred Research Alliance formerly AMREP) Flow Cytometry Core Facility (AMREPFlow) is a state of the art, world class cell sorting and cell analysis laboratory, catering for the scientific research community based at the Alfred Research Alliance (ARA) and broader Melbourne. The facility is located at ARA, Commercial Rd., Melbourne. AMREPFlow is managed by Mr. Geza Paukovics, B.Med. Lab. Sci., with over 25 years of experience in the field of flow cytometry and cell sorting. Facility staff offer comprehensive training and education, experimental design and protocol guidance specifically targeting effective data generation and interpretation in the field of flow cytometry. We offer services catering for both animal and human cell sorting in a PC2 environment. Uniquely, the facility also caters for infectious sample sorting (eg. HIV, HepC) in a dedicated PC3 environment. The facility is equipped with four high throughput cell sorters and nine cell analysis platforms. AMREPFlow also has acquired the AMNIS Imagestream MkII - an imaging flow cytometer. These instruments may only be booked by qualified and licensed users. All users must be familiar with the booking rules, associated usage costs, usage guidelines and standard operating procedures (SOPs). For more information please do not hesitate to contact us. The AMREP Flow Cytometry Facility's Core Laboratory is located on the 2nd Floor of the CCS Monash ACBD, level 2. However the easiest way to locate us would be at 85 Commercial Rd Melbourne 3004, Burnet Institute reception and ask to contact Geza Paukovics, Eva Orlowski-Oliver or Magdaline Costa. Please see contact details. Mr. Geza Paukovics started his tenure at the Burnet Insitute in 1992, which then was located on the grounds of Fairfield Hospital and associated with the Victorian Infectious Diseases Reference Laboratory (VIDRL). Having worked extensively as a research assistant for a number of years, he was given the opportunity to manage the Burnet Institute Flow-Cytometry Facility by Prof. Suzanne Crowe in 1997. Geza would like to acknowledge expert guidance and tuition in the field of flow cytometry from Steven Hunter and during his one year secondment to Walter Eliza Hall Institute (WEHI) by Dr. Frank Battye. Having graduated from the "old school" of flow cytometry, where manual LASER and instrument alignment was commonly practiced, he has extensive knowledge of flow cytometry principles, theory, data generation and data interpretation. Through intellectual input into experimental projects, Geza has appeared on numerous publications. While managing the Burnet facility, Geza was invited to perform after hours cell sorting at the Monash Central Medical School by Dr. Richard Boyd. Maintaining contact with the Monash facility and upon Burnet Institute's migration to AMREP, Geza was given the role of managing the then newly established AMREP Flow Cytometry Core Facility. Geza takes pride in the AMREP Flow Cytometry Department, particularly the department's role in cell sorting and cell analysis, hence paramount importance is placed on staff induction into the facility, staff education and tuition which culminates in users being licensed upon exhibiting competence in instrument usage and data generation. The AMREP Flow Department's education extends to organising technical seminars, invited experts in the field as well as associated technologies. Geza would like to acknowledge ongoing support for the facility by Prof. Suzanne Crowe and Dr. Paul Cameron. Eva Orlowski-Oliver graduated with a BSc in 2007 from The University of Melbourne, with a double major in Immunology and Pathology. Eva undertook an Honours year in the Department of Pathology at The University of Melbourne at the Austin Research Institute where she helped discover Platelet tetraspanin superfamily member, CD151 is required for regulation of thrombus growth and stability in vivo. This research project resulted in a first author publication. Her passion for research and flow experience continued as a Research Assistant under Prof Mark Hogarth until 2014, when she moved to a Research/Flow Cytometrist position at St. Vincent's Institute where much of her training and education was conducted under the guidance of Michael Thomson who previously worked as an AMREP Flow Cytometry staff member. Eva is now a part of the AMREP Flow Cytometry Core Facility which she joined in 2015, and is grateful for the support of the Burnet Institute to attend interstate workshops and local and international Flow Cytometry conferences. Magdaline completed a BSc at Monash University and under the guidance of Professor Robert Medcalf at Australian Centre for Blood Diseases (ACBD), completed her Honours, PhD and a post-doctoral term. Her work was focused on identifying factors that regulate the expression of the human tissue-type plasminogen activator gene. She then joined the laboratory of Professor Ed Stanley and Professor Andrew Elefanty at the Institute of Reproduction and Development (IRD) and later at Monash Immunology and Stem Cell Laboratories (MISCL). Under their guidance, she worked on establishing methodologies required to genetically modify (via homologous recombination), culture and differentiate human pluripotent stem cells into endothelial cells. She then joined the laboratory of Associate Professor Jody Haigh at ACBD and generated induced pluripotent stem (iPS) cells from blood cells taken from patients with acute myeloid leukaemia (AML). These iPS cells harbour patient-specific genetic mutations that can be used to study AML in vitro. It was during this last tenure that she acquired an appreciation for Flow Cytometry. Magdaline joined the AMREP Flow Cytometry Core Facility in 2017 and is grateful for the support of the the existing members of the Core Facility and the Burnet Institute. Since completing his undergraduate degree, Steven has developed a career within medical science and academia. As an RA he was investigating the mechanisms of Haemophilus influenzae infection in the context of respiratory disease, before stepping into the world of cytometry. Steven has recently returned from the UK, where he was fortunate enough to work in a busy and growing core facility. His time in London granted him access to new and emerging technologies and data analysis techniques, which he hopes to introduce to the staff and researchers within AMREP.